Fees charged by NYSO only cover a part of our costs. NYSO relies on the generosity of all those who have supported us and continue to support us, in many cases, for a number of years. This helps us not only with our running expenses but also more importantly in providing bursaries to allow students to take part regardless of background or means. This is fundamental to our ethos and something we are determined to maintain. Many thanks to all of you. Become a bursary supporter. Please contact us and we would be delighted to discuss this further. Yearly subscription to Friends of NYSO is only £25 a year. 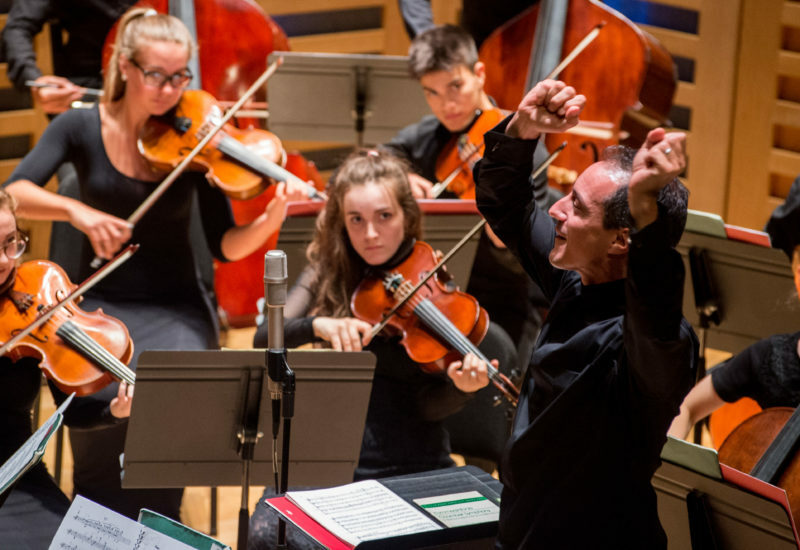 By subscribing to NYSO you will be supporting extraordinary young talent. Becoming a Friend of NYSO will give you the opportunity to receive advance notice of concerts and ticket sales, along with NYSO’s annual Friends newsletter, keeping you up to date with the orchestra and its activities. Please contact us directly to make a donation to NYSO. "I was slightly nervous when I arrived but the atmosphere was so warm and welcoming that I fitted in immediately. Whether you had been at NYSO for years or you were on your first course it was very easy to make friends. During the courses I developed my musicality, posture and sight-reading and became more confident generally. The section tutors and my fellow musicians really changed the way I feel about playing the violin."